❝For many years now, we have developed in our company the Agroindustrial Division, with diverse crops in different zones of our province. 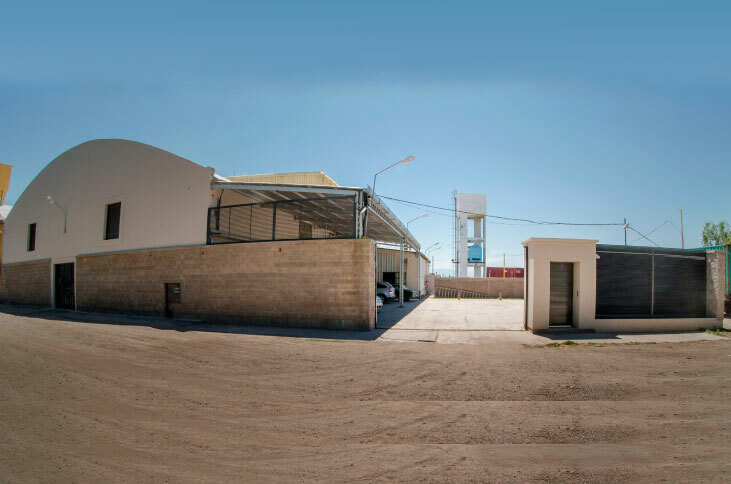 We also own two properties in Maipú, Fray Luis Beltran (Las Margaritas street), with crops of d'Agen plums and "Sultanina" variety grapes, both products destined to exports. Besides, we have plantations of olives, red grapes, and mixed grapes for the production of wines and grape juice. In Montecaseros, San Martin district, we have a property with plantations of mixed grapes and Cereza variety grapes on low vineyards, Cabernet Sauvignon and Malbec vines on espaliers, mixed grapes parrals and d'Agen plums. In Los Barriales, Junin , we have olive groves of "Empeltre" variety and quince groves. Finally, in La Dormida, Santa Rosa, there exists a property with an exclusive plantation of grape varieties, including Syrah, Malbec and Cabernet Sauvignon on espaliers, and a little proportion of mixed grapes on parral. Allub Hnos. S.R. 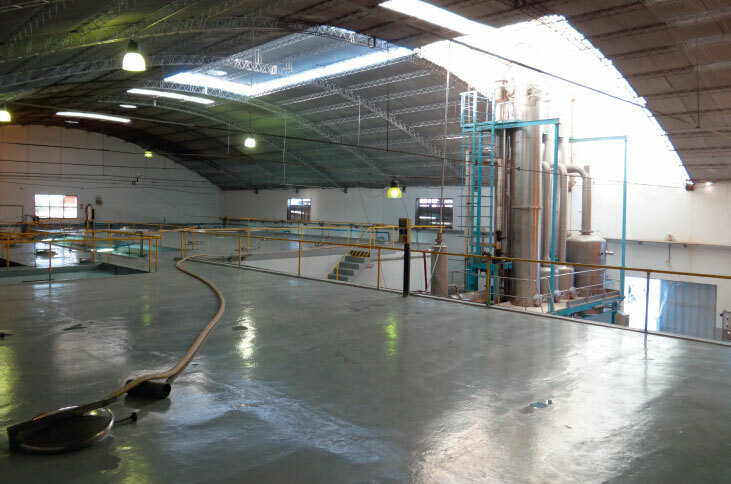 L. Grape Juice Concentrate Plant produces grape juice concentrate to satisfy the markets’ requirements. Produced following international standards, our Grape Juice Concentrate is an innocuous product that clearly reflects our company´s image. 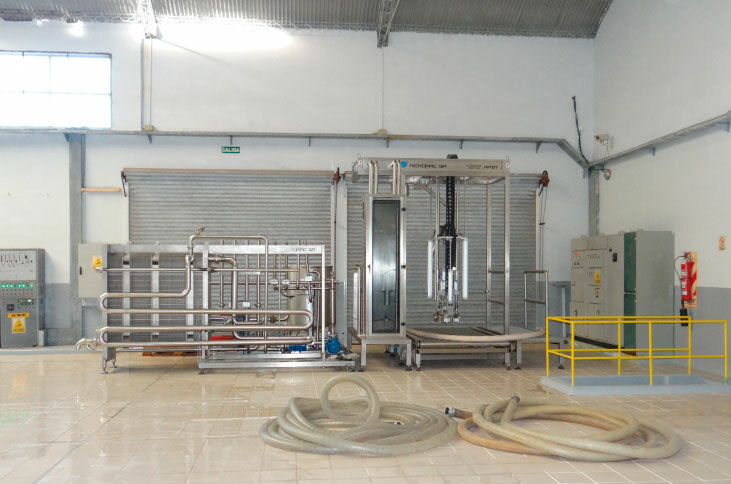 The plant is located in La Florida Street, San Martín - Mendoza, a place where soil conditions are ideal for grape growth and for the production of grape juice concentrate. We do not rely on external pre-production or subcontracted processes. Our company pursues the highest quality of products reaching the "Food Safety System Certification 22000". We show our commitment with food security and customer satisfaction, integrating our company into a changing world. 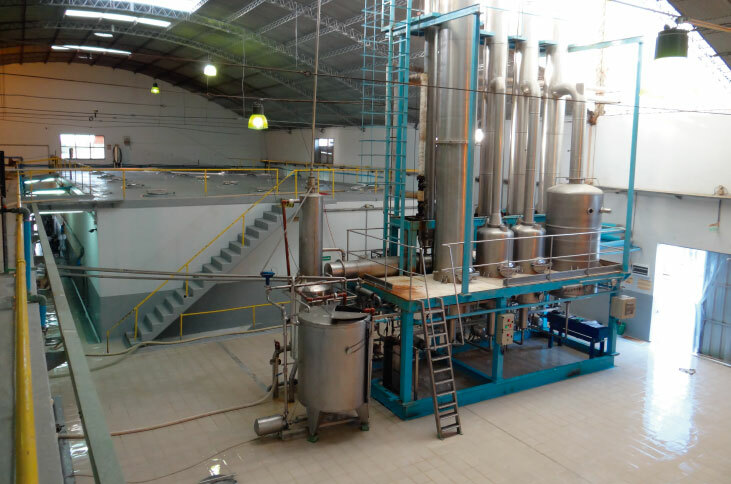 The plant is equipped with high-technology machinery and a comprehensive laboratory in which refined samples of grape juice concentrate are produced..
Physical-chemical and microbiological characteristics. 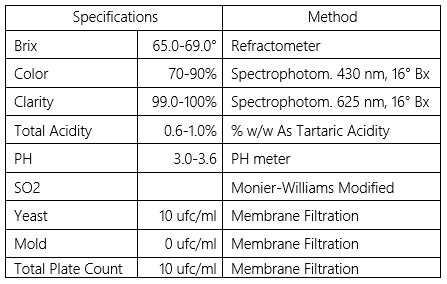 The standard grape juice concentrate has the following characteristics: It is a liquid of a certain density and has a ph ranging from 3,4 to 2,3. Its acidity ranges from 0,5% to 1,4%, while its soluble solids go from 65° to 69° Brix. It is microbiologically stable at ambient temperature and it is normalized following customer’s specifications. Acid Grape Juice Concentrate is a variant of the Standard Grape Juice Concentrate. 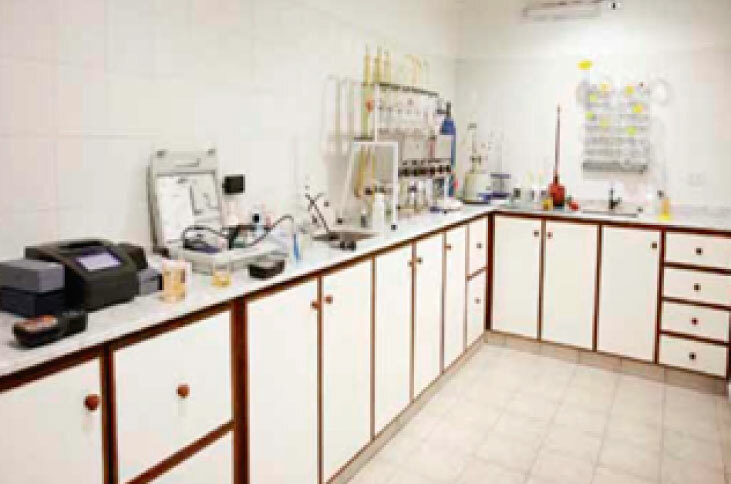 It is obtained from the same raw material, which undergoes the same sulphitation, filtration and absorption processes. The difference lies in that for Acid Grape Juice Concentrate, before the desulphitation, grape juice is acidified by its passage through cationic interchange resins. Virgin Grape Juice Concentrate only differs from Standard Grape Juice Concentrate in that it is obtained from the grape juice of virgin grapes, that is, with no SO2 addition. Its specifications just differ in that it has no Sulphur Dioxide tenor. It is a microbiologically stable product at ambient temperature, as in the previous cases. During its conservation it can suffer some changes in color, but it maintains its food safety. Raw material (grapes) is first selected, then it is crushed and pressed to obtain the grape juice. 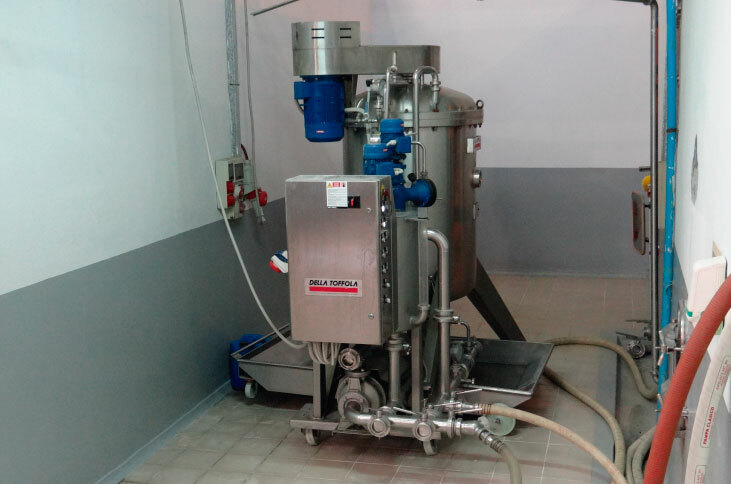 After this, the cloudy grape juice obtained undergoes filtration processes through which impurities are reduced. Once free of colloidal and suspended material, the juice goes to the absorption stage, described for the Standard Grape Juice Concentrate. 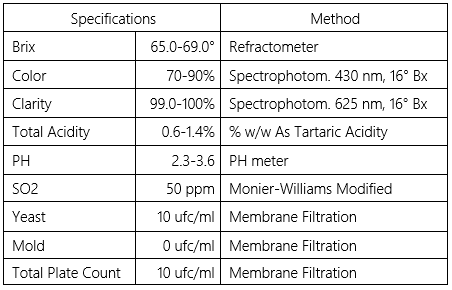 Finally, it is sent to the evaporator to obtain a product with a minimum concentration of 68% P/P. It should be noticed that the high quality of this grape juice only allows the use of the first juice obtained (free run juice), the remaining juice being destined to the production of conventional products. Because of its high sugar content, the Virgin Grape Juice Concentrate can be used as sweetener for fruit juices, jams, and enrichments of grape juice. Reconstitution by adding water: the Standard Grape Juice Concentrate and the Virgin Grape Juice Concentrate can be reconstituted by adding water, for it to be fermented and turned into wine. It is also used in dairy products, especially in those for children. 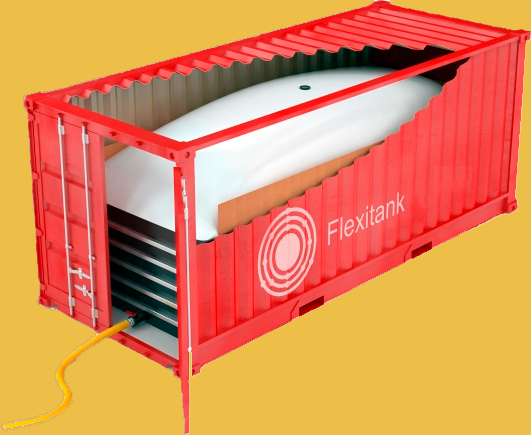 Due to its absence of SO2, this product is especially apt for the most demanding international markets. 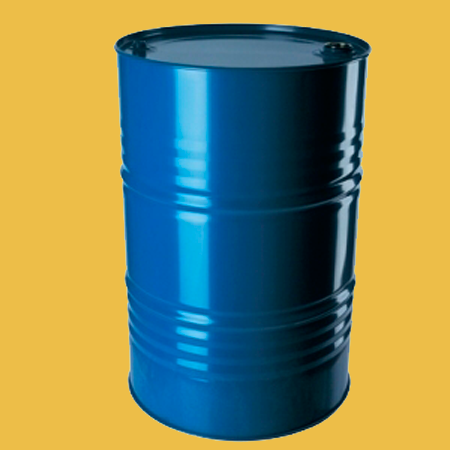 Our products are commercialized in bulk, in drums, bins and flexi tanks. 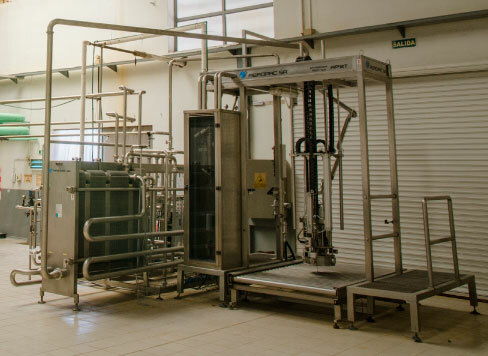 Regardless of the container used, our grape juice concentrates always undergo filtration and pasteurization processes before being transferred to the container. 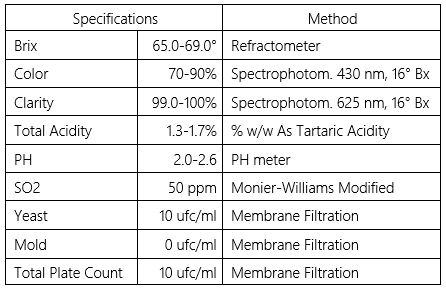 It is important to highlight that, when filling the drums, samples are taken in order to repeat the usual microbiological analysis and those of color, clarity, total acidity, °Brix, and SO2. 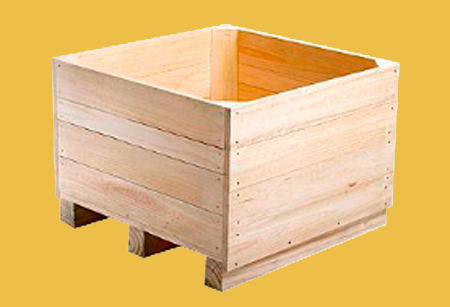 These are repeated to check that the product´s quality has not altered. We use new steel drums with double 100 micron nylon bags, which can hold up to 306 kg each. When placed in containers (67 drums per 20 ft container), the drums are separated with woods and tied with ropes to prevent damage.